Provide up to date information on Dates and Deadlines for SSHA and the campus community. Josseline is a second year student from South Central, LA pursuing a major in Psychology. Her goal is to help small income communities with their mental health issues. "As a SSHA student assistant I want to lend a helping hand to my peers who look for answers to their questions." “It’s the oldest story in the world. One day you’re seventeen and planning for someday. And then quietly and without you ever really noticing, someday is today. And that someday is yesterday. And this is your life.” -Nathan Scott, OTH. Jackie Garcia is a Management and Business, Economics major. She is a second year student from Downey, California. Her goal is to someday be a proud, financially successful business owner. Dariana is a second year student from Merced California, pursuing a major in English. After graduating from UC Merced she hope to obtain a Masters Degree in Journalism. and eventually travel the world. Desiré is a first year student from Riverside, California pursuing a major in the Biological Sciences with an Emphasis in Ecology. Her goal is to help with animal and plant conservation across the country. 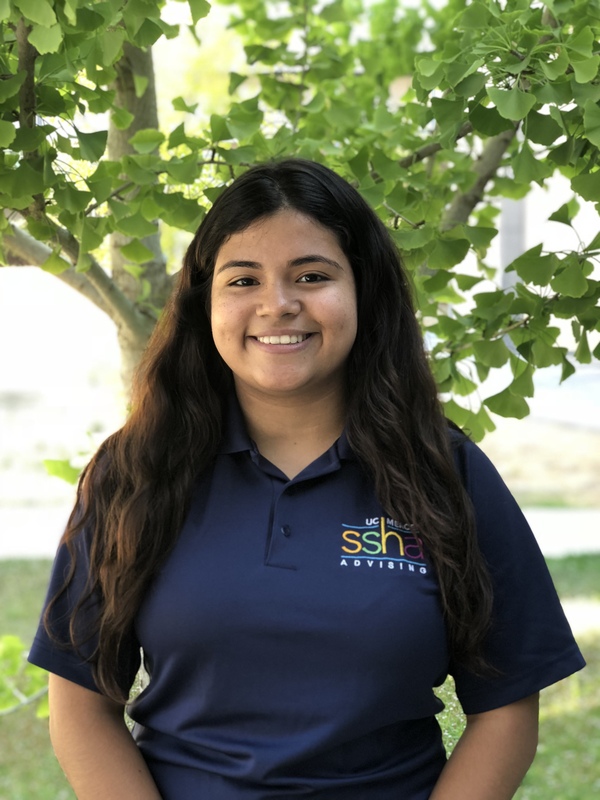 "As a SSHA student assistant you learn the behind the scenes and get to help others who have any questions or concerns with forms or their classes to help make things a little less hectic for them." Erika is a third year from Santa Ana, CA. She is majoring in Public Health and minoring in Psychology. She hopes to one day travel the world and help people living in rural areas. "As a SSHA Assistant I enjoy being one of the persons who people can come to for help regarding any questions they may have and/or being able to direct them to the right person in order to make their day run a little smoother!"